Upon joining the ACEN Board of Commissioners, Dr. Vardaman already had six (6) years under her belt of serving as an ACEN peer evaluator team member, team chair, and on the Evaluation Review Panel. 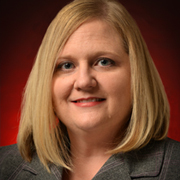 She is an Associate Professor of Nursing at Troy University, and being among the longest tenured members of the Troy University School of Nursing has allowed Dr. Vardaman to serve in multiple roles across virtually all of Troy University’s nursing programs. In addition to her primary role as a nurse educator and program coordinator, Dr. Vardaman continues her clinical practice as a PRN staff nurse at a local hospital ICU. She also holds certifications as a Certified Nurse Educator and Board Certified Medical-Surgical Nurse.